When you have friends staying over the slowcooker becomes your best friend. It feels a lot safer leaving that on the oven (plus it uses way less energy) and it is so nice to let dinner cook itself when you’re busy socialising with friends. 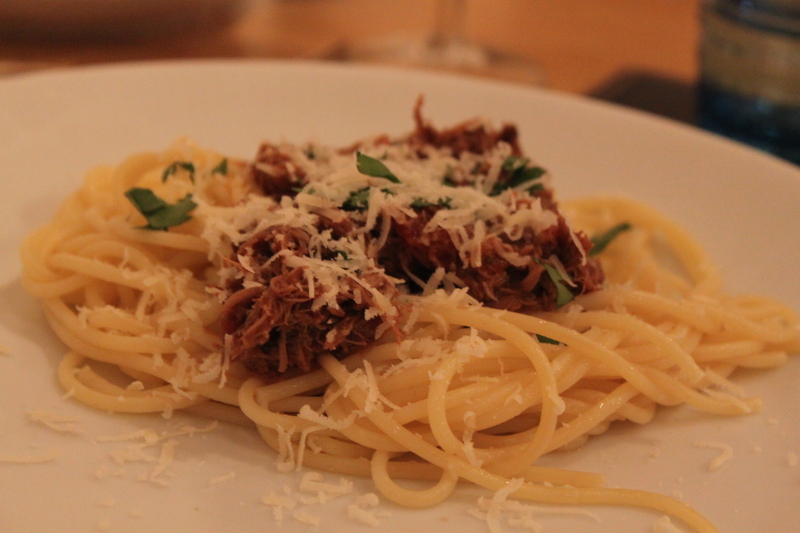 While we had a day out in Canterbury, the slowcooker made this lovely pork cheek ragu with white wine and sage for us. All you need to do when you get home is to reduce and season the sauce, shred the meat and mix it with the sauce and cook some pasta. Place all ingredients for step 1 in the slowcooker, turn on low heat and leave for approx 8 hours. Remove the meat from the pot and reduce the sauce to half and season with the ingredients for step 2. Pull the meat apart and mix with the sauce. Serve.